The Management Manual contains all the nitty-gritty details of running the School. It is a collection of all procedures, rules, contracts and forms involved in the daily running of the School. 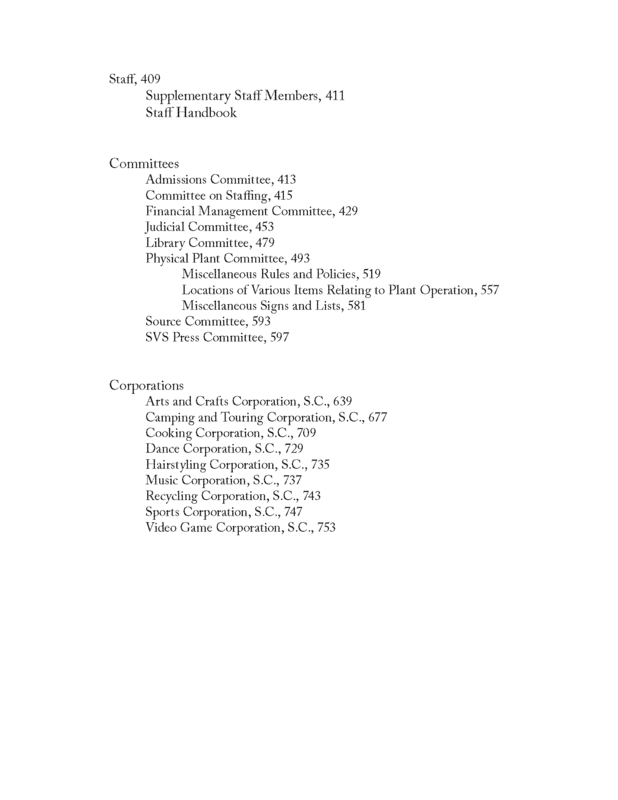 Included are full details about how the jobs of Clerks, Officers, Committees and interest groups ("School Corporations") are carried out. 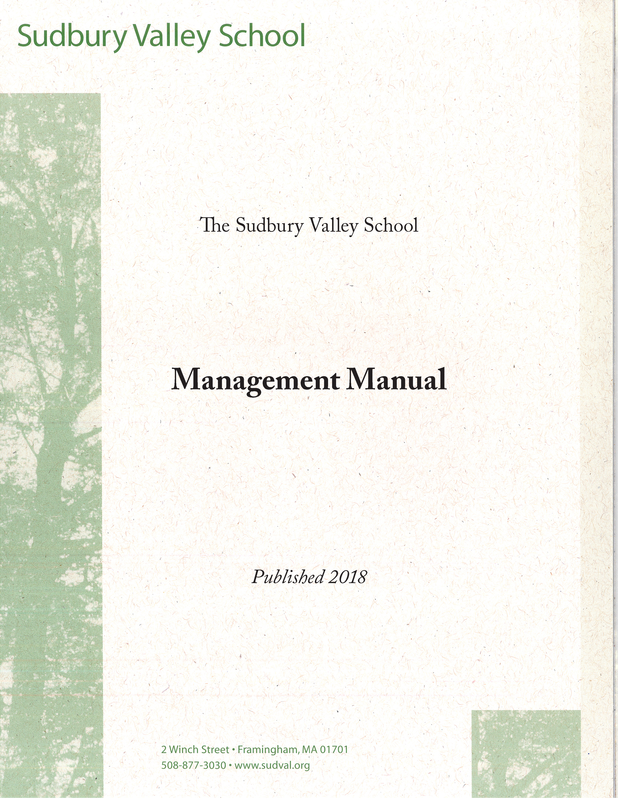 This publication is an actual copy of the practical, hands-on manual currently in use at Sudbury Valley School.